One of the visual icons of downtown since the mid 50’s, The Price Stores represent the southern anchor of the Fire Blocks District. Completed in 1915 in the Romanesque Revival Style but covered for the past half century in early modernism perforated metal skin, the building was the original headquarters of the Dayton Home Telephone Company. Arched, colonnaded windows, brick and limestone façades and high ceilings, along with its positioning directly facing the new 5,000-person Levitt Pavilion project and its connection to all areas around it make this the ideal location for a modern, urban boutique hotel. Ground floors activated with high end retail to pay homage to the history of Price Stores. 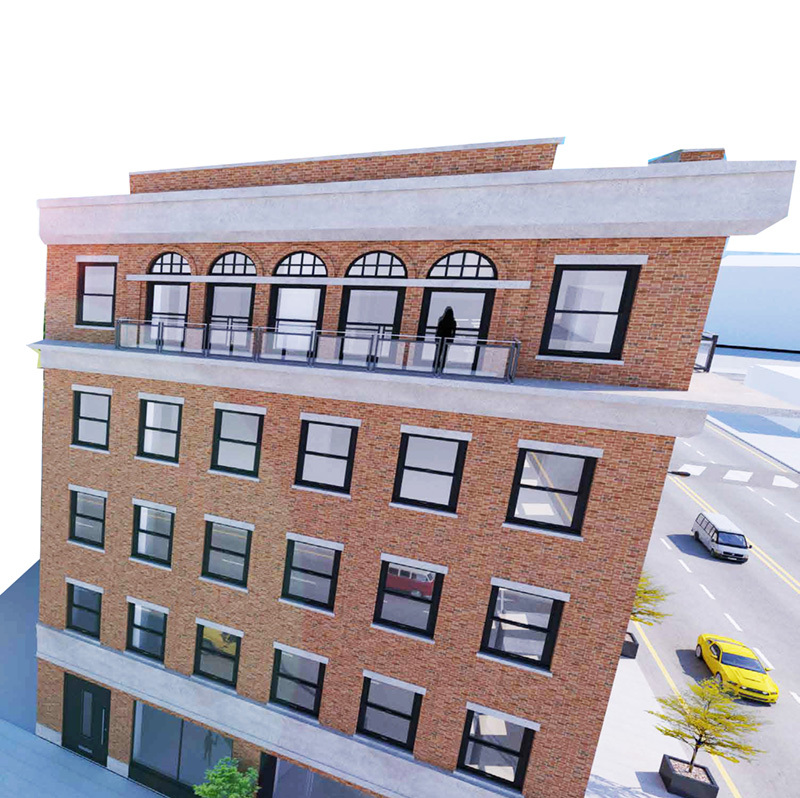 The building will shed its skin to create new windows and balconies overlooking the city below.